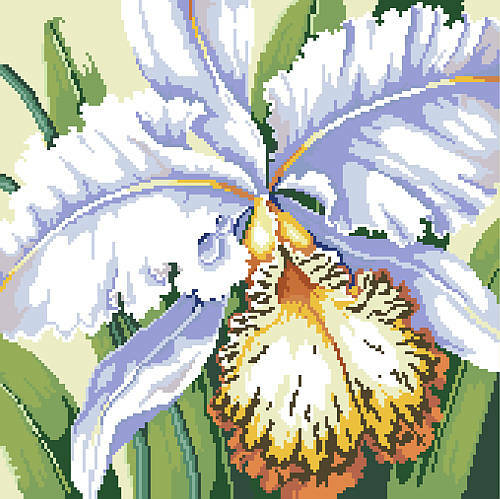 Elegant and subtly exotic, this beautiful cross stitch orchid infuses a sense of luxury to your decor. Makes a great gift for the gardener in your family. Surprise them for their birthday, Mother’s Day or simply to celebrate spring. Contents: Stitch Count 169w X 169h on 14 ct, finished size 12" X 12"